Get Black Type in France! 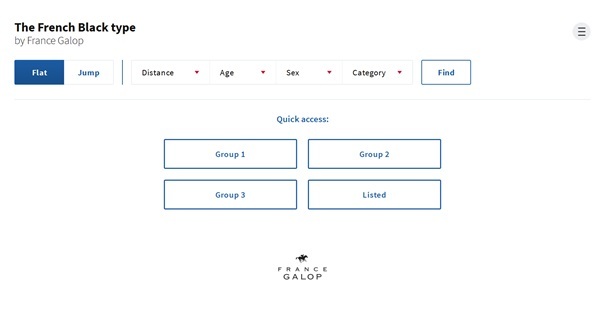 France Galop & FRBC are pleased to introduce a new website where you can find all the information on black type races in France in Flat races and over Jumps in English. Race conditions, entries, records, technical information on how to enter a horse, a table of distances, FRBC services are among all the information available on this website. Every trainer, owner, racing manager, bloodstock agent or just racing enthusiast will be able to have access to more than 350 black type races in France and share them. The French racing calendar is full of black type and you should use this opportunity to find the best race for your horse. France Galop & FRBC look forward to seeing you soon racing in France!